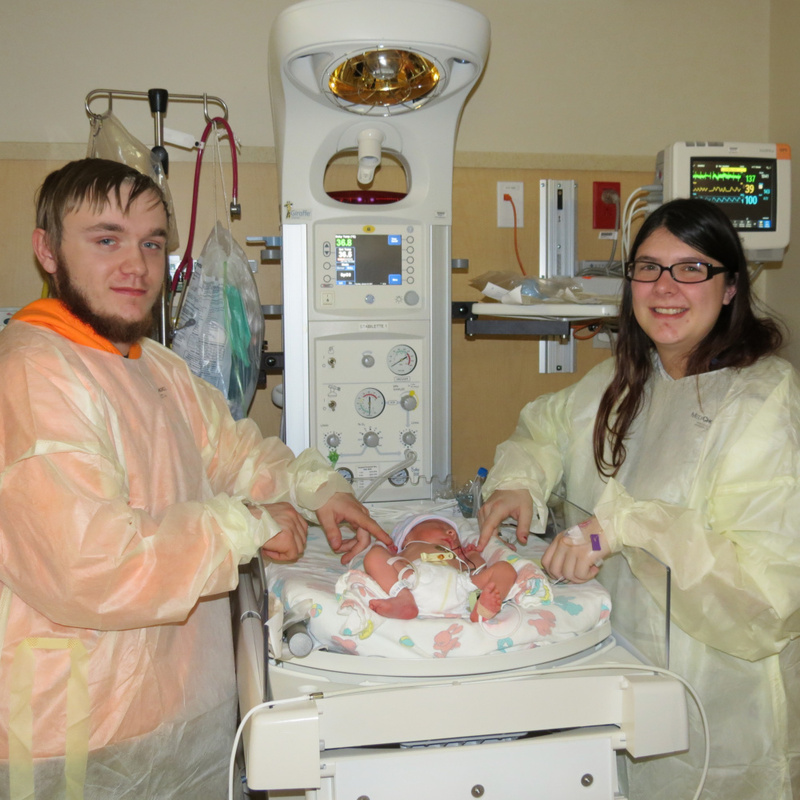 AUGUSTA — Jakob Everett Lewis wasn’t due to be born until Feb. 1, but a couple days ago, his mother, Ashley Veinotte of Winslow, joked to her own mother that she was going to have the baby on New Year’s Day. 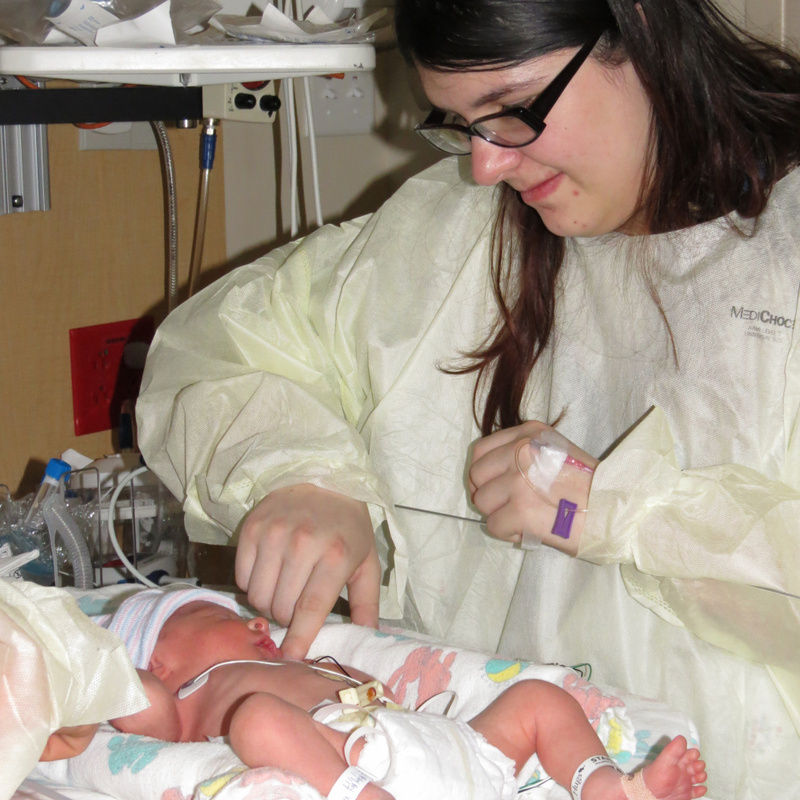 “I kept saying, ‘No, you can’t have that baby early,'” said her mother, Sonia Veinotte. But the joke was prescient: Ashley went into labor early Sunday morning. At 6:40 a.m., Jakob was born, becoming the first baby to be born at MaineGeneral Medical Center in 2017. At 5 pounds 3 ounces, he seemed healthy and was spending the rest of the day in the hospital’s nursery, his mother said. At noontime, Ashley was recovering in another part of the hospital with Sonia and the boy’s father, Dakota Lewis, who is 20. It was the first baby for Ashley, who is 23, and all three were feeling very tired. Ashley had got off work from an assisted living facility in Waterville late Saturday night, she said, and she and Dakota decided to go grocery shopping at Wal-Mart. They were walking through the bread aisle when she first felt herself going into labor. After making a stop at their home in Winslow, they packed diapers into Dakota’s Toyota RAV4 and left for the hospital despite the snow that was falling. At one point, the car almost got stuck. 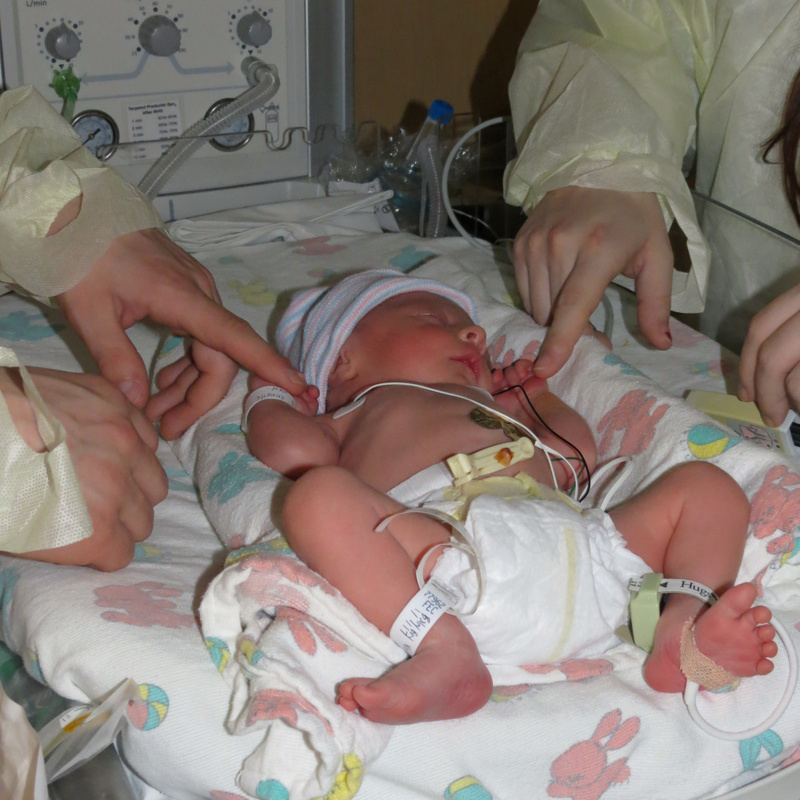 They arrived at the hospital at 1:30 a.m., and by 6:40 a.m., Jakob was born. “I’m very excited,” continued Dakota, who works for Pine State Trading Co. in Gardiner. Dakota has a 5-year-old son, Jude Lewis. “He’s excited to meet his brother,” Dakota said. Sonia, who lives in Winslow, eventually met the young couple at the hospital early Thursday, after clearing snow from her car. “I couldn’t have done it without either of them,” Ashley said, referring to Jakob and her mother. Despite the warnings she made to her daughter a few days earlier, Sonia was also glowing about the newest member of their family — her first grandchild. When Ashley goes back to work, Sonia — or “Nana” — will be looking after Jakob, she said.